This past weekend, I finally finished assembling a belated wedding gift for some friends who were married this summer: a cocktail shaker and hand-embroidered cocktail napkins. 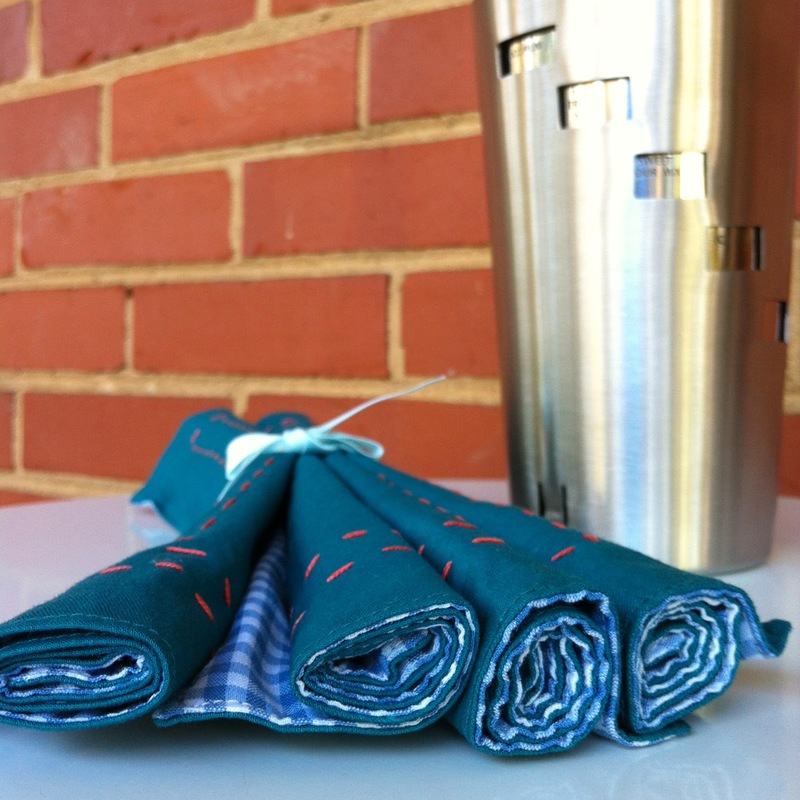 The napkins were made with a solid turquoise on the front, with a coral red running stitch along the border, and a blue and white gingham on the back. My husband picked out the shaker, which has a number of drink recipes along the sides. Hopefully both items will be put to good use by the new couple!